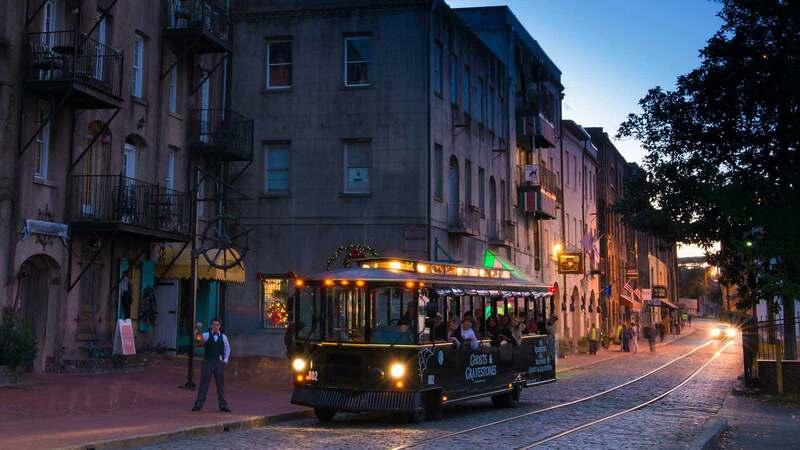 See the best of Savannah first on board the orange and green Old Town Trolleys. 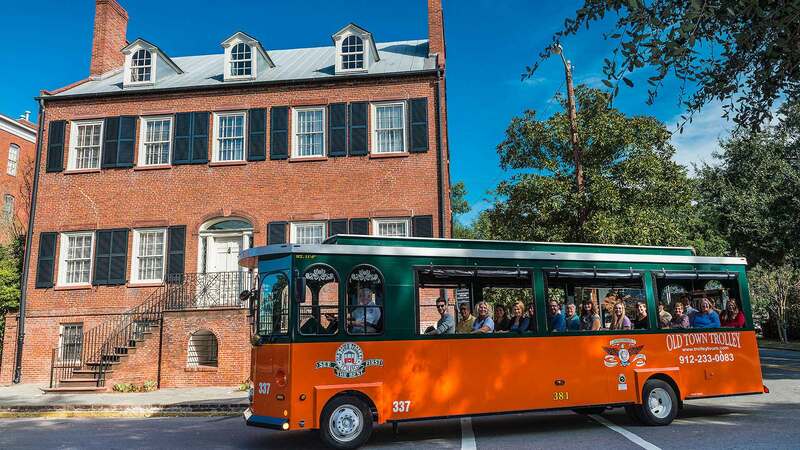 For over 30 years, Old Town Trolley Tours of Savannah has been transporting guests on a fabulous journey through time as they show off the most important sights and attractions in the city. Old Town Trolley Tours conductors offer their unique brand of Transportainment—recounting humorous and interesting facts and stories about the many historic points of interest. This comprehensive tour covers the entire city and all its beauty, culture and background. Guests can get on and off the trolley on every stop and can spend as much time as they wish exploring at each stop—trolleys pass by on a continual basis throughout the day. Take a walk down River Street and you’ll be immediately immersed in glorious Savannah history, architecture and shopping. Browse through the many unique boutiques and art galleries and discover an array of international items as well as true Southern charm. The picturesque waterfront walking mall was once home to a thriving cotton industry and today visitors can return to that era with a stroll through this open-air marketplace. Spend an afternoon shopping, dining and enjoying the lovely view of the harbor. In the mid 1700’s, life in Georgia’s first city, both socially and professionally, centered around the City Market. The fresh catch of the day could be found and purchased straight from the local fisherman, while farmers proudly presented their fruits and vegetables. People came from all around the city to shop, visit with their neighbors and converse about the day’s events. Throughout the centuries, City Market changed as did much of Savannah and although it suffered several fires and demolitions, its original allure has been lovingly restored by a group of concerned Savannah historians. 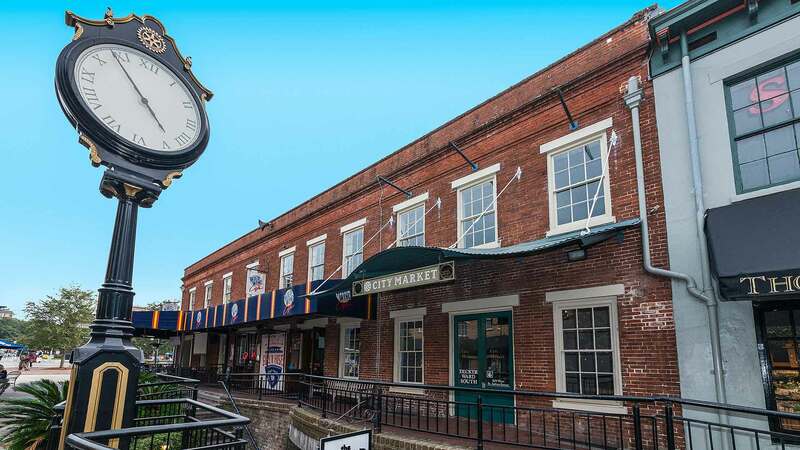 These days, City Market is a popular shopping and dining locale complete with the horse-drawn carriage rides from the days gone by. In the early days, Southern Hospitality meant sharing a hearty meal with family, friends and even people you didn’t know. Boarding houses were popular in those days and were not only places where travelers and locals in a city could find a warm bed, but also a fresh, home-cooked meal. For Sema Wilkes, owning a boarding house was the ideal opportunity for her to make a living while offering folks a taste of her delicious Southern dishes. Since 1943, Mrs. Wilkes Boarding House has done just that. 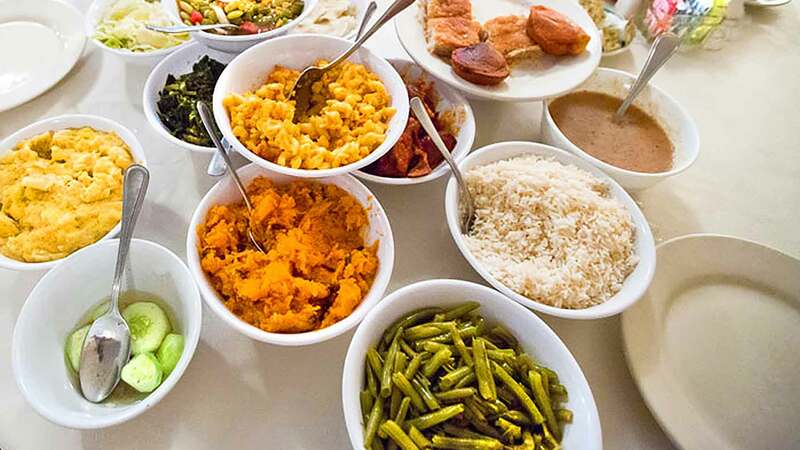 And although Mrs. Wilkes is no longer there to watch-over her dining room, her children, grandchildren, great-grandchildren and other family members, continue to bring the flavorful, robust recipes that she’s famous for to the table every day. Stop by for breakfast, lunch or dinner to sample true Southern Hospitality and fried chicken, okra, banana pudding, butter beans and more—just arrive early because people begin lining up even before the restaurant opens. 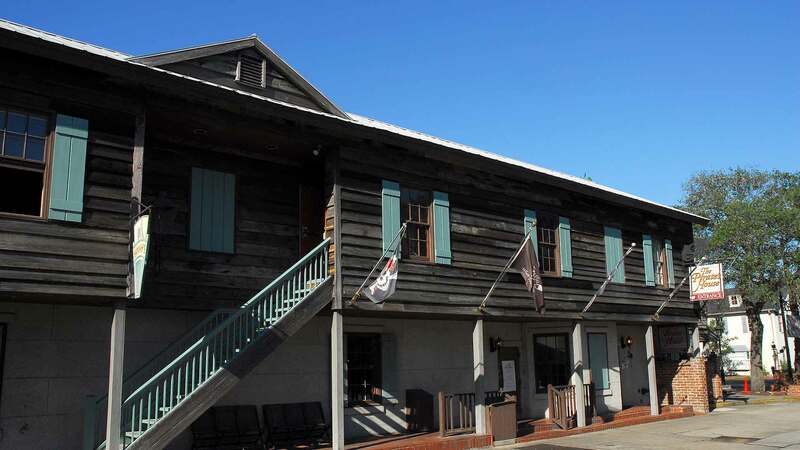 An old inn that was once a hideout for pirates, sailors and swashbucklers, the Pirate’s House offers history and drama that dates back to the early 1700’s. It’s said that in those days men who came in for a drink often ended up being dragged through an underground tunnel that lead to the river and forced to work on a ship for years at a time. Today, the ancient building has fifteen different dining rooms, each decorated with authentic pirate and seafaring décor, including a rare copy of the novel Treasure Island that mentions the inn. Visitors to Savannah make it a point to stop in for The Pirate’s Houses’ well-liked lunch buffet or any of their tasty meals. The staff at the restaurant has been known to tell a tale or two of the ghostly appearances of several famous pirates, including Captain Flint who died in an upstairs bedroom. Great food and fun for people of all ages, The Pirate’s House is a must-see when in Savannah. Constructed in 1816, the Owens-Thomas House is an architectural treasure. Stunningly beautiful and artfully preserved, it was designed by William Jay and was one of his first projects upon his arrival in Savannah. With its curved walls, unique stairwell bridge, ionic columns and many other unusual features, the historic house delights historians, artists and others of all ages. Thousands of travelers from across the globe tour the home each year, viewing the picturesque English garden, the time-period furnishings and the slave quarters as well. 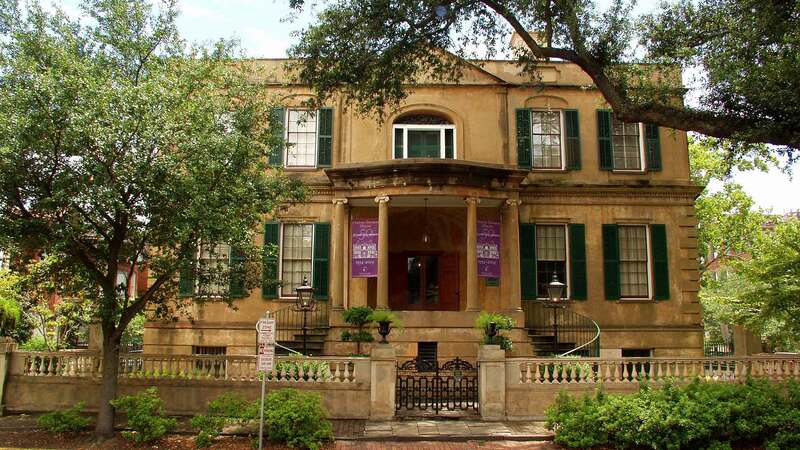 Overlooking Oglethorpe Square, the magnificent Owens-Thomas House is now a National Historic Landmark and a part of the Telfair Museum of Art. For Girl Scouts everywhere, The Juliette Gordon Low House is a personal invitation into the life of a truly remarkable leader. For the rest of us, it’s a marvelous look back at a woman who really was ahead of her time. The house was Savannah’s first National Historic Landmark and is a charming representation of the Victorian architecture of the time. Inside, visitors get a chance to see original artwork created by Juliette “Daisy” Gordon Low and many other artifacts that belonged to the Gordon family. Each year, many thousands of Girl Scouts visit the home and participate in interactive displays and programs relating to scouting and their founder. 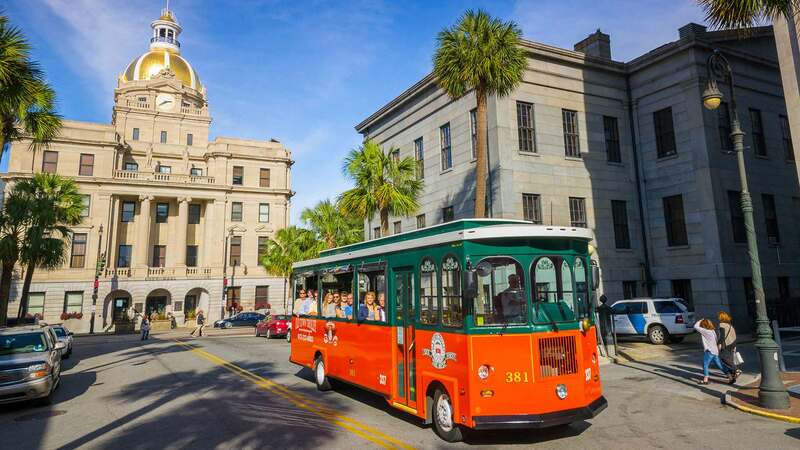 Adults and children of all ages enjoy touring this popular Savannah attraction as it offers history and entertainment for all. 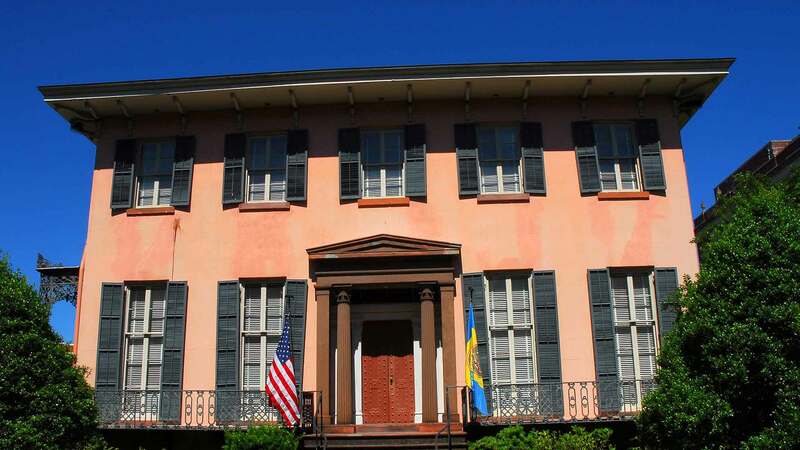 The Isaiah Davenport House is one of Savannah’s most stately mansions—a true Federal-style masterpiece designed by Isaiah Davenport. Davenport constructed the home to show off his architectural talents and used it as a family residence until his death in 1827. Throughout the years after his passing, the home went through numerous phases and in the mid 1950’s was slated for destruction. It was then that the Savannah Historic Foundation made their founding act, saving the home from the wrecking ball. In the years that followed, the Davenport House was preserved and restored and was listed on the National Register of Historic Places. Today, guests to Savannah enjoy guided tours of the house, admire the ornate plaster work, elliptical staircase and the brilliant style of the various rooms throughout. 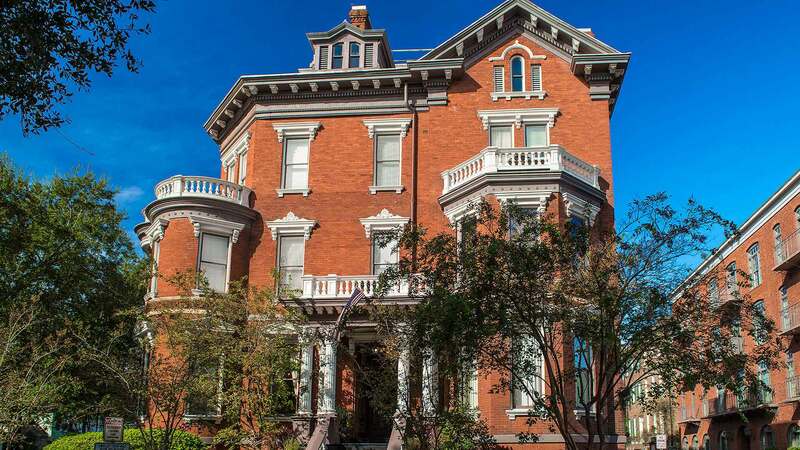 As you stroll through the Andrew Low House, take a brief journey back in time to the late 1840’s, when Andrew Low and his family lived in this sophisticated mansion that sits on lovely Lafayette Square. Throughout the halls, parlors and bedrooms, Low’s four young children grew-up, prominent guests like General Robert E. Lee and William Makepeace Thackeray visited and a family that spans across generations prospered. The home is recognized as one of Savannah’s most beautiful architectural masterpieces and showcases its classic design, authentic artifacts from the Low family, as well as numerous antiques and memorabilia. 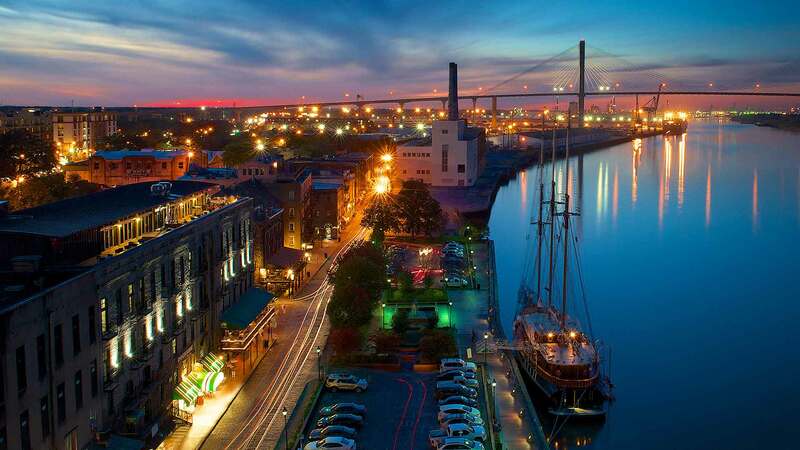 Enjoy a guided tour throughout this marvelous historic landmark and learn a bit about Savannah’s heritage. Built in 1840, the Sorrel-Weed House was the first house on Madison Square, which at that time was referred to as the “green”. This tranquil grassy square was where locals gathered for social occasions. 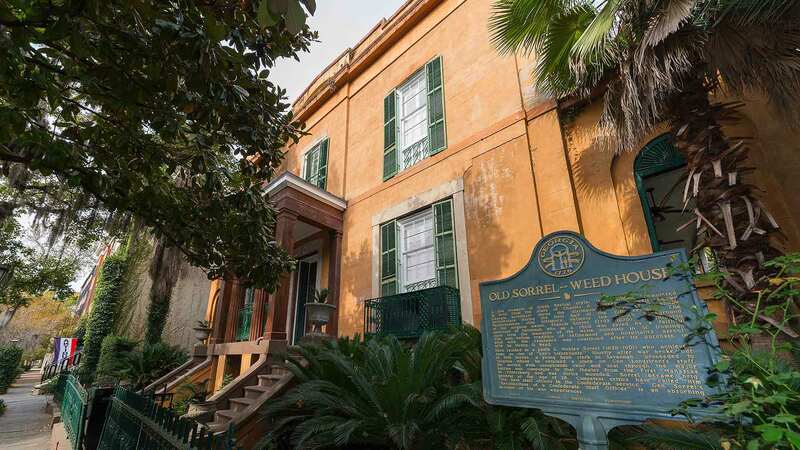 The historic Sorrel-Weed House, with its striking Greek Revival architecture, is well-known for its significance in Savannah. At an expansive 16,000 square feet, it’s the largest home in the city and was also one of the first homes to be declared a state landmark. The mansion has a rich, colorful lifeline that began when Francis Sorrel first contracted Charles Cluskey, a respected architect, to build his family home. Centuries after General Robert E. Lee and other prominent citizens visited, the National Historic Landmark is considered to be one of the most visited and most haunted Savannah sights. View the beauty and elegance of this splendid home and discover for yourself if there’s any truth to the stories of spirits lingering about. 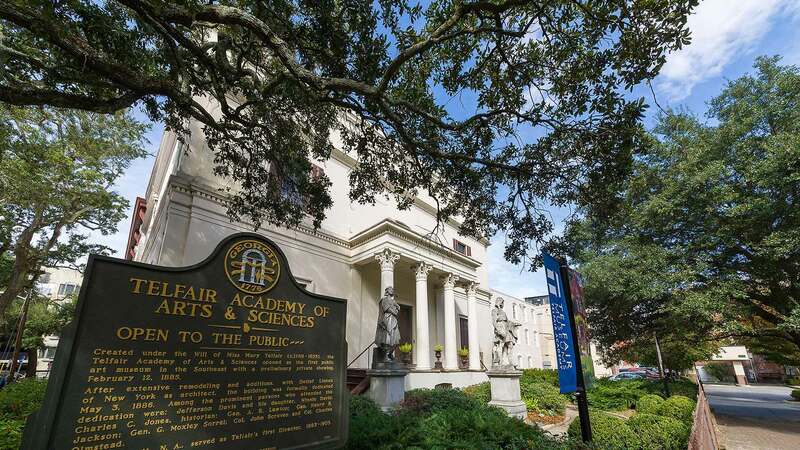 At the Telfair Museum of the Arts, visitors will not only have the opportunity to view many collections of exquisite artwork, but also to gain a sense of the wonderful heritage of Savannah throughout the historic buildings. The extraordinary museum was founded in 1886 by the Telfair family when they decided to share their love for art with the city. By opening their home to the public, the Telfairs hoped to expose others to some of the world’s greatest artworks and to educate people about the arts. Today, guests to the museum can enjoy the benefits of their efforts as they tour through three different sites and three diverse collections of glorious art that include decorative and fine arts and historic buildings. For a delightful afternoon surrounded by picturesque scenery, spend some time walking through Forsyth Park. Thirty acres of gorgeous land encompass this popular city park where joggers, bicyclists and flocks of other outdoor loving people come to breath in the fresh air and soak in the sunshine. The Forsyth Fountain is a focal point to the park; it was erected in 1858 and was designed after a fountain in Paris. There are numerous monuments here as well, including several to the Confederate Soldier, the Spanish-American Monument, the Marine Corps Monument and others. 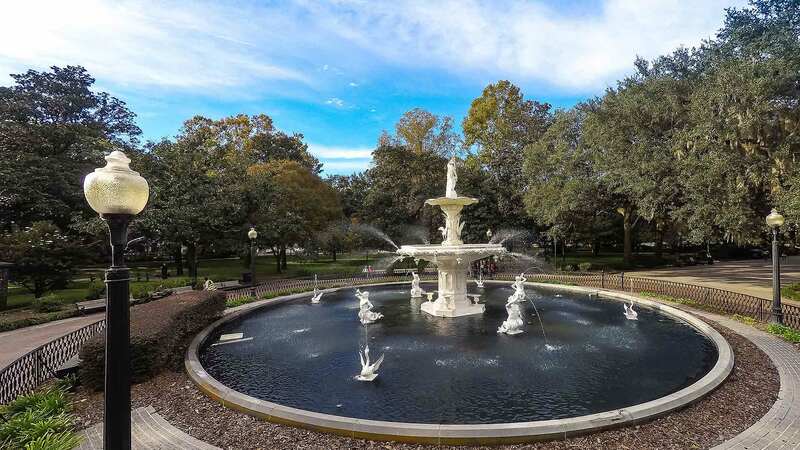 Located within a short distance to Savannah’s famed Historic District, Forsyth Park in one of the most-visited spots in the city. William Kehoe was known for his generous spirit and his thriving Savannah ironworks business in the late 1890’s. His family home was built in 1892 and it was here that he, his wife and their ten children lived for many years. The elegant mansion is simply breathtaking, a masterful example of the Renaissance Revival architectural design and is listed on the National Register of Historic Places. 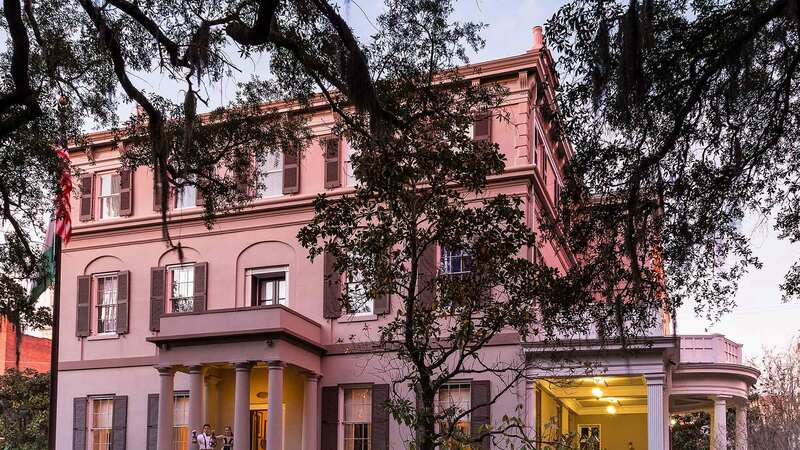 Set in the heart of Savannah’s Historic District, the William Kehoe House was sold by Kehoe’s family in the 1930’s and through the years went through various owners until becoming a luxurious bed and breakfast. Today, guests to the hotel can relive the Victorian era as they are surrounded by lofty ceilings, opulent marble and iron detailing, antique appointed suites and a grand parlor complete with two fireplaces. 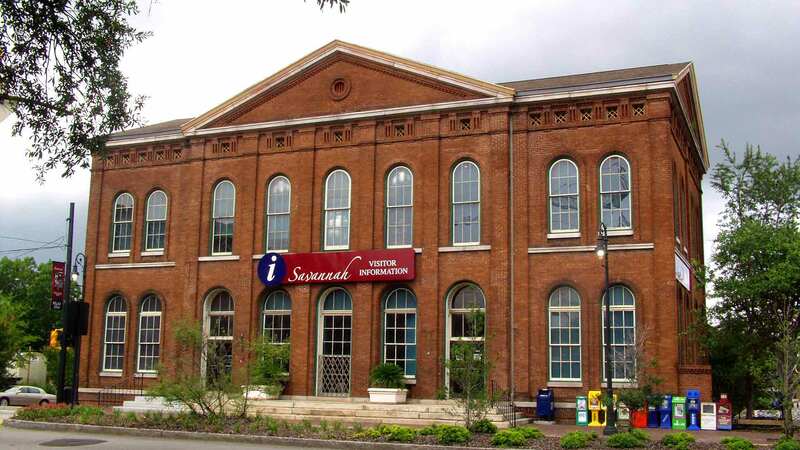 One great way to learn about the history of Georgia’s first city is to spend some time in the Savannah History Museum. Here, visitors from all around the world learn about how Savannah was founded in 1733 by James Oglethorpe and can follow a timeline of all the amazing events and people that make the city such a rare Southern jewel. Located within the old Central of Georgia Railway passenger shed, which itself is a National Historic Landmark, the museum showcases everything from the changing wardrobe of Southern women through the centuries, to artifacts from the Revolutionary War and Forrest Gump’s bench. More than 10,000 items can be viewed at the Savannah History Museum, along with various intriguing exhibits. Savannah’s oldest burial ground, the Colonial Park Cemetery is home to an approximate 10,000 departed Savannahians. During the 18th and 19th centuries, the cemetery was where most people were laid to rest, although today there are only about 600 remaining gravestones. 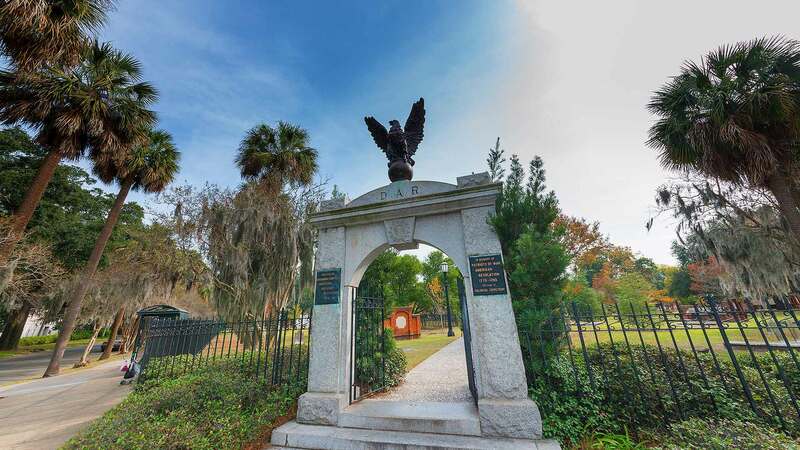 Visitors to Savannah make it a point to take a stroll through this historic graveyard, as they can see the final resting place of Revolutionary War soldiers and Button Gwinnett, who was one of the signatories of the Declaration of Independence. For a moving glimpse into the life and times of early Savannah, the Colonial Park Cemetery is a worthwhile stop. 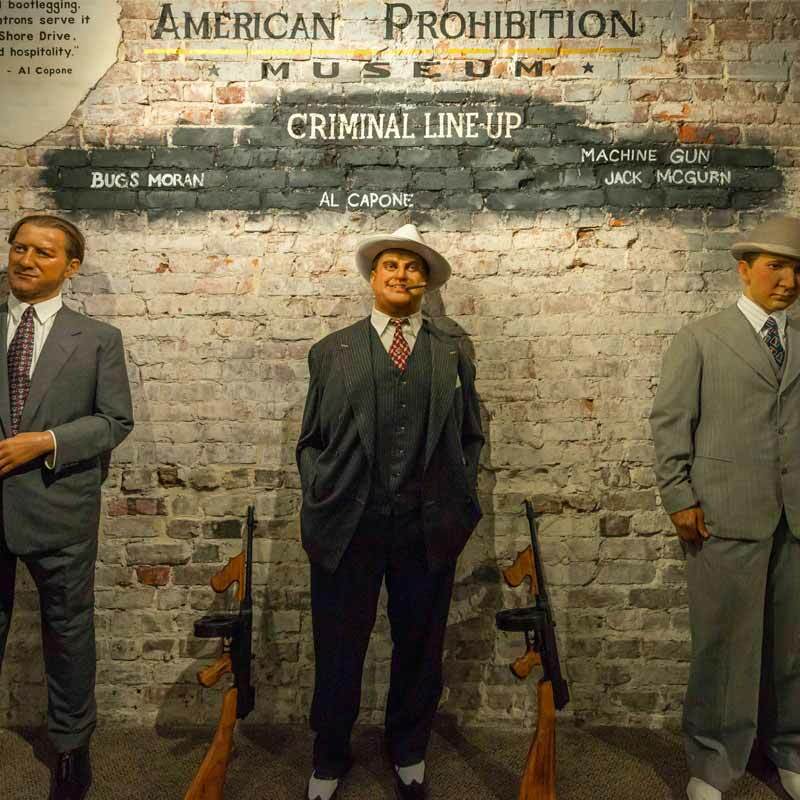 Learn all about the history of Prohibition at this Savannah museum, which happens to be the only one of it’s kind in the country; see wax figures of the hatchet-wielding Carrie Nation and notable gangsters like Al Capone. Take a #selfie with a gangster or vintage car as you walk through interactive exhibits while tour guides, who are acting the part, in the most dapper attire walk you through and discuss the history of the era. After the tour, step into the Speakeasy, the fully-functioning bar inside the museum, and order a “Sazerac” or a “Love, Eleanor.” You will not be disappointed.